UIE: How do you define Persuasive Design? Andrew: An easy way to define persuasive web design is to contrast it with usable design. Usability focuses on giving users the ability to complete a transaction if they so desire. A usable site makes it easy for users to complete transactions, from buying products to convincing users to read featured articles. Unfortunately, having a usable web site is not always enough to convince users to transact. Even if a user can complete a transaction on your site, doesn’t mean that they will transact. To be successful, sites must go beyond Usability by focusing on Persuasive Design. They must motivate users by taking advantage of persuasive tactics that will make them take action. The most persuasive web sites focus on making users feel comfortable about making decisions and helping them act on them. 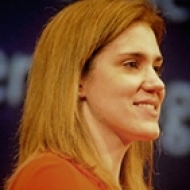 What site does a good job of persuading users? eBags.com is one of the most persuasive sites I’ve seen. The site’s designers motivate users to purchase bags by offering them detailed content that helps them pick the right bag for their specific needs. 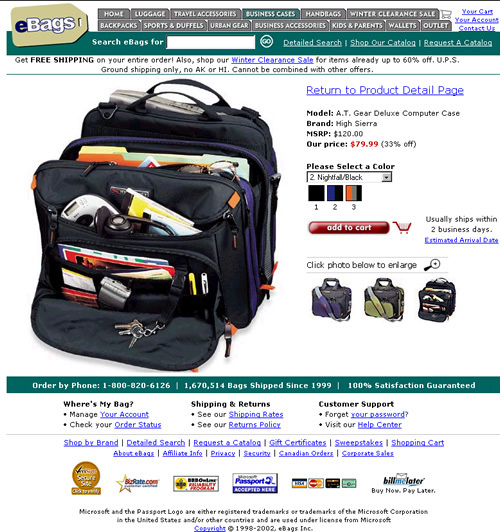 Figure 1: eBags.com’s pictures provide users with the right amount of content to persuade them to buy. Some argue that Persuasive Design is a form of deception or manipulation. How do you respond to this criticism? Persuasive Design is not about manipulating users into doing something they don’t want to do. Instead, the goal of Persuasive Design is to get users to make the right decision. Designers can accomplish this by doing their best to ensure that users get all of their questions answered about the content. For example, I’m currently planning my next vacation. I’ve just had a baby boy, so I’m very concerned about finding family-friendly facilities. When I visit a hotel site, I’m very interested in finding out what amenities they have for babies, such as cribs. However, if the web site doesn’t provide this content, I can’t make a decision. Right there, I’m stuck because I’m worried about whether or not the hotel will provide a crib for my baby. Persuasive design is not just about influence. It’s about understanding the user’s decision process and providing the information and tools to help facilitate a decision. In your book, you describe four different types of users (browsers, evaluators, transactors, and customers), and the best ways to design for each. Can you explain why you’ve taken this approach to Persuasive Design? As I said, persuasive design is really about supporting the decision process. Each type of “user” I describe in my book is actually the same customer at different stages in the decision process. The focus is the task that users wish to accomplish at a given point in time. When users are just starting out as “browsers”, designers will want to make it easy for users to gather information. Later, when those users are “transactors” and ready to buy, designers will want to provide quick access to completing a transaction. By focusing on these four stages of decision-making, designers can create sites that move users forward through the transaction process. 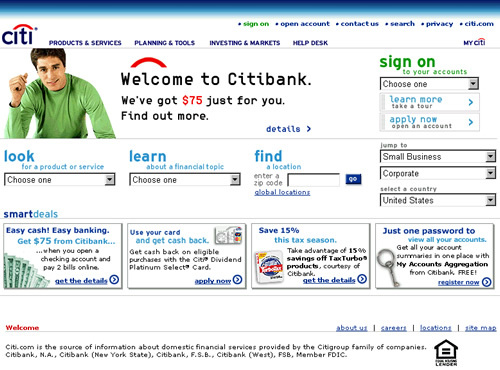 Figure 2: The designers of Citibank.com have structured the home page as a starting point to meet users’ needs at each stage of the decision-making process. In addition to focusing on the four different types of users, what other key issues should designers focus on to make a site persuasive? If a site is fundamentally usable (for example, the users can navigate through the site and can figure out how to complete forms or a transaction process), the most important issue is content. Too many sites focus on the technology to make the transaction happen rather than providing the content that motivates users to complete the transaction. If your site sells products, the design must have content that helps users make choices. Why would users choose one product over another? What are the key features? What do other people think about a particular product? Similarly, if your site sells a service, then why should people hire you? What makes you a credible provider? Don’t just spend time specifying the content management system or how to make slick rollover navigation. Designers also need to carefully consider the wording they use on transaction screens. For example, if the site asks for an e-mail address, then it’s important that the copy immediately explain how the site will use that e-mail address. If you provide no explanation, you’ll get a lot of John Doe e-mail addresses. Are there sites you think have missed opportunities to apply persuasive design techniques? Professional services, such as doctors and lawyers, tend to be the sites that miss the persuasive design boat the most. They often just provide basic office information without emphasizing why someone should choose them as a service provider. These sites could provide more content about their qualifications, experience, and customer testimonials. In contrast, a clever contractor site could include an article about what to look for in a contractor, which is an implicit statement about how confident they feel about their own qualifications. Would the Renaissance Roofing site be a good example of this? If we look at Renaissance Roofing, we see a great example of persuasive content. They provide some tips to users on what they should look for in a roofing contractor. This does a couple of things to boost the confidence of the user in this roofing company: it educates users so they feel more confident that they know what to look for in a roofing contractor and it also emphasizes that this roofing company meets the qualifications described. Renaissance Roofing even goes so far as to present their information in a checklist format, as if to challenge their prospects to compare them against the competition. We understand you worked on General Motor’s Canadian Corporate site. How did you use Persuasive Design concepts in your day-to-day designs? As I’ve said before, online persuasion is about understanding what information to provide and what response to ask for from a user at a given point in time. It’s about understanding “In what state will users come to this particular page?” and providing the right information in that context and then asking “What do I want them to do next?” to move them further along the decision cycle until they get to transaction that you want from them. At GM Canada, I helped develop a personalization architecture that would help to guide users through the car decision-making process. We mapped out the steps that users would take to decide upon a vehicle and made sure that we provided the content or tools that would address the information need at each point in the decision-making process. Users who knew what they were looking for could simply find a car by model name. Users could also find vehicles by type (such as SUV or sedan) or by a specific attribute (such as price or exterior features). For those who wanted more help, we provided an advisor tool to guide them through the decision process. For many sites, persuading the user to return is as important, if not more important, than persuading them to buy in the first place. How can designers best get users to return to their web sites? Users will return to your site if they have a good experience on their first visit. If you don’t deliver on what you promised in terms of fulfilling their order or request, then the likelihood of them returning is significantly lower. Another effective strategy for getting users to return is ongoing communication. This usually involves some form of e-mail newsletter to keep in touch. With such a newsletter, it’s important that designers keep two objectives in mind. The first is to provide some value within the newsletter, so that there’s a reason for users to open it up and read it. The second is to provide a reason for them to return to your site—this is when you use some of the influence tactics to lure them back for some special offer. Published here on March 1, 2003.